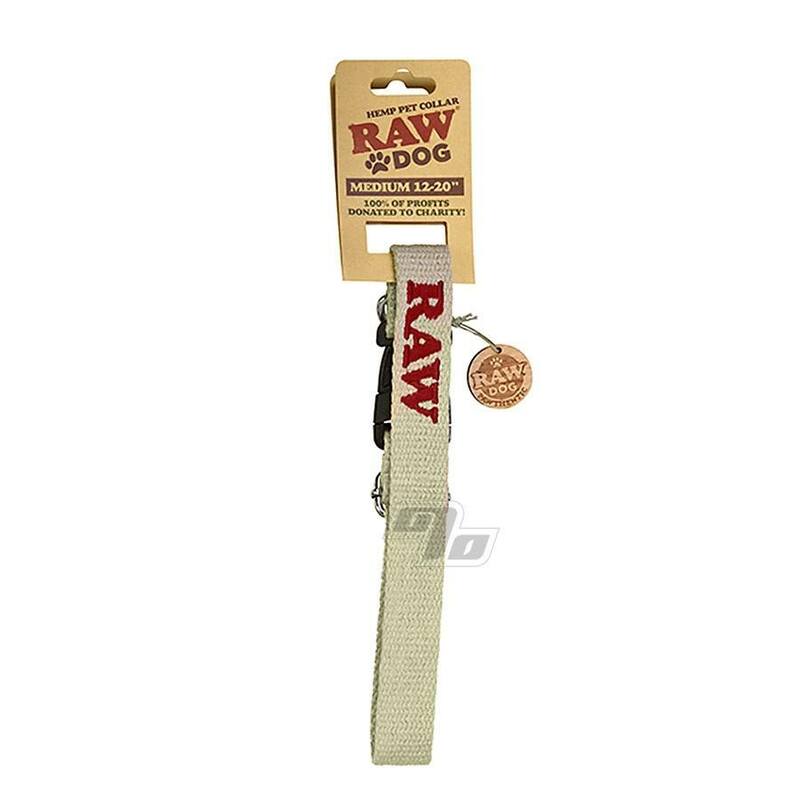 RAW Dog Hemp Pet Collars are the natural accessory for your furry friend. Eco friendly hemp dog collars provide your pet with a breathable, odor resistant fabric that will naturally keep them cool. Hemp fiber is known for it's durability with anti-bacterial and hypo-allergenic properties. Perfect accessory if you're a RAW Rolling Paper devotee and want to share the RAWthentic experience with your mid sized RAW Dog (or goat). This Medium hemp dog collar is adjustable, ranging between 12" to 20". Please check out the small and large RAW hemp collar sizes if you're looking to outfit a smaller or larger dog.